On Tuesday, President Donald Trump confirmed his decision about the US troops' early withdrawal from Syria, saying that he wants "to get out" of this Arab country. Speaking at the US Institute of Peace in Washington, General Joseph Votel, commander of US Central Command, made it clear that American troops will remain in Syria in the future. "There still are some areas where they are present and that we will have to continue to operate on," Votel pointed out. He was echoed by Brett McGurk, US State Department's senior envoy to the anti-Daesh coalition, who said that ISIL is yet to be "finished." "We are in Syria to fight ISIL [Daesh]. That is our mission and our mission isn't over, and we're going to complete that mission,' McGurk told the Washington gathering. The two's remarks came after President Donald Trump promised the US troops' early withdrawal from Syria. "We'll be coming out of Syria, like, very soon. Let the other people take care of it," Trump said during a speech in Ohio last week. Shortly after, he confirmed the move by saying that the US "almost completed" the task of destroying Daesh in Syria and that he wants "to get out and bring our troops home." In separate development, Turkey's Anadolu news agency cited "trustworthy local sources" as saying this week that the US military has established two bases in the Manbij region in northern Syria's, Aleppo Governorate in northern Syria, controlled by the Kurdish-dominated Syrian Democratic Forces (SDF). 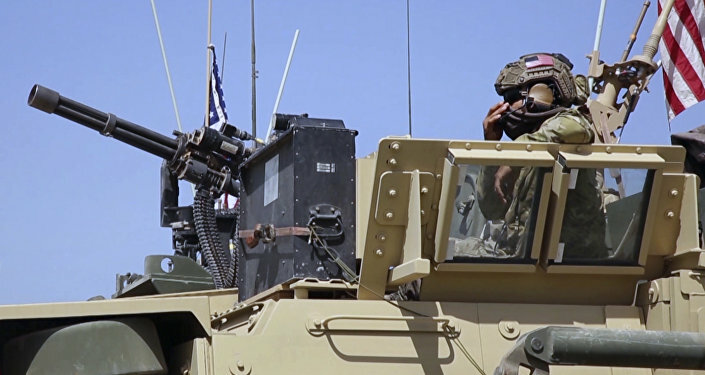 The US military has been stationed in Syria since 2014, leading a coalition of allies to fight Daesh without either a UN mandate or the Syrian government's authorization. Damascus has repeatedly described the US military presence Syria as "illegal." Right now, there are reportedly about 2,000 US troops in this Arab country.